StarterGenerator.com® is a leading independent global stocking distributor specialized in 'off the shelf' starter generator solutions for light to medium turbine powered fixed wing aircraft and helicopters. World renowned for our comprehensive shippable inventory of Aircraft Parts Corp. (APC, Skurka Aerospace) LRU's, StarterGenerator.com® has expanded inventory support capabilities to include manufacturers including Goodrich (Lucas) and others. As a constant buyer and market maker of starter generator inventory, StarterGenerator.com® has become a conduit through which aircraft starter generators of all makes and models flow back and forth between buyers and sellers worldwide. In addition to our extensive on hand inventory, we maintain a global database of starter generator availabilities, exclusive of those found on mainstream parts locator services. This allows us not only to broaden and deepen the level of inventory we can offer customers, but to optimize use of inventory already existing in the supply chain. StarterGenerator.com® offers value priced outright sale and MRO solutions including flat rate priced exchanges with no bill-backs and affordable BER option. LRU inventory covers popular turboprop, turbojet and turbine helicopter platforms with a considerable exchange pool ready for immediate worldwide dispatch. Furthermore, StarterGenerator.com® is recognized and trusted by loyal customers in forty-five countries worldwide. Given the urgent nature typical with starter generator requirements, the aftermarket demands immediate availability on a global basis. We recognize the starter generator niche aftermarket is quite fragmented, mature and therefore abundant with parts supply and MRO resources. Consequently, customers have many options and choices when sourcing their starter generator requirements. We embrace this challenge by concentrating our resources towards extensive product knowledge and a comprehensive shippable inventory, all focused on a single and key component - the starter generator. These efforts are packaged with a well established and trusted global internet brand. While the aftermarket continues to consolidate and evolve, at StarterGenerator.com® our goal remains constant. We aim to leverage our core strengths to assemble the ideal combination of industry resources that represent superior quality, innovation and cost-effectiveness, while making these exceptional companies, products and services readily available to every corner of the world. 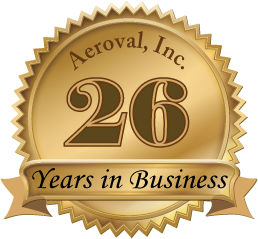 Aeroval® is a U.S. registered trademark of Aeroval, Inc.
StarterGenerator.com® is a U.S.registered trademark of Aeroval, Inc. Authorized Distributor - Nell-Joy Industries, Inc.